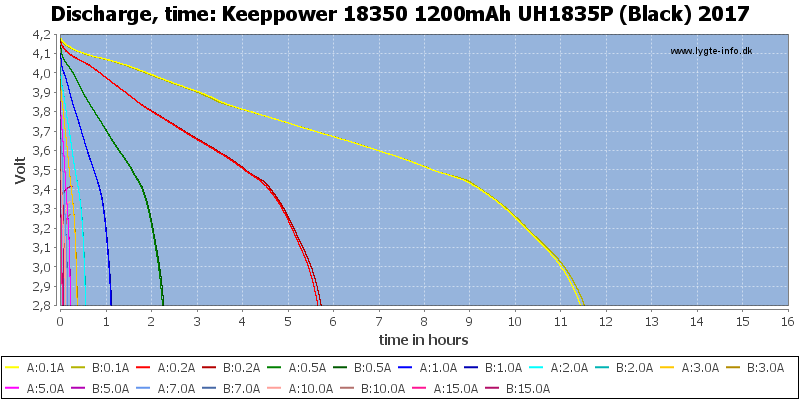 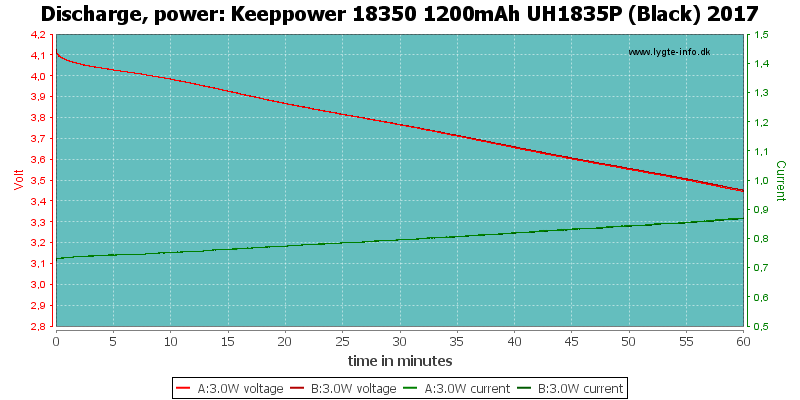 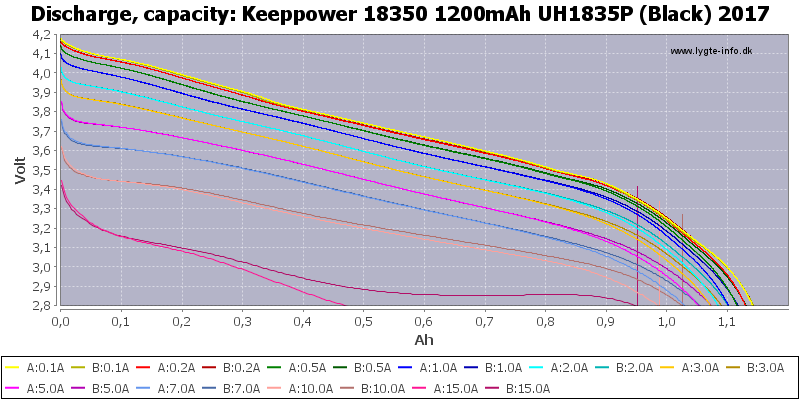 The batteries has good discharge curves, they tracks fairly well and capacity only drops slowly with current. 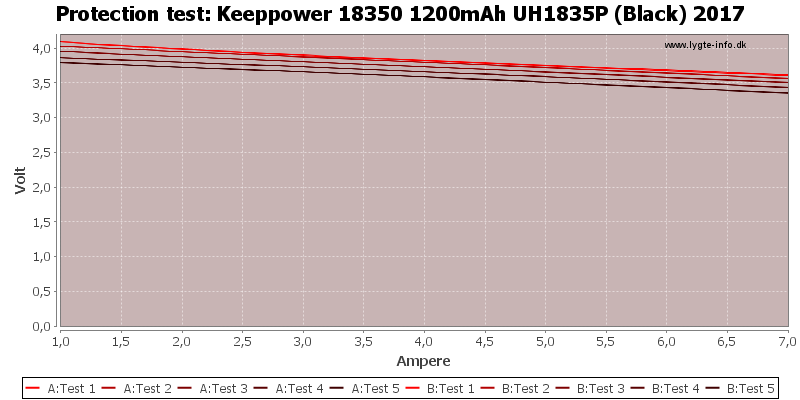 10A works fine, 15A is too much. 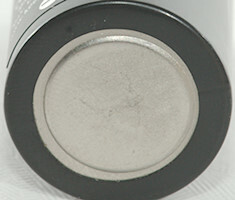 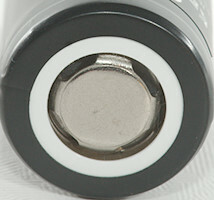 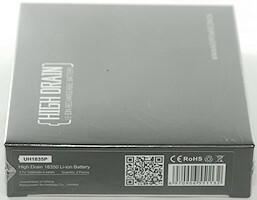 This battery is from the new generation of smaller cell with much improved performance. 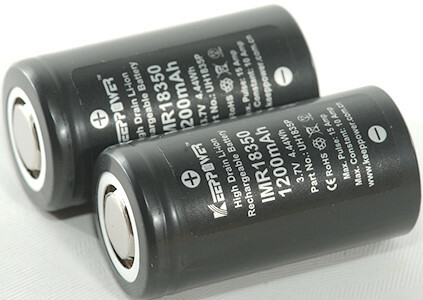 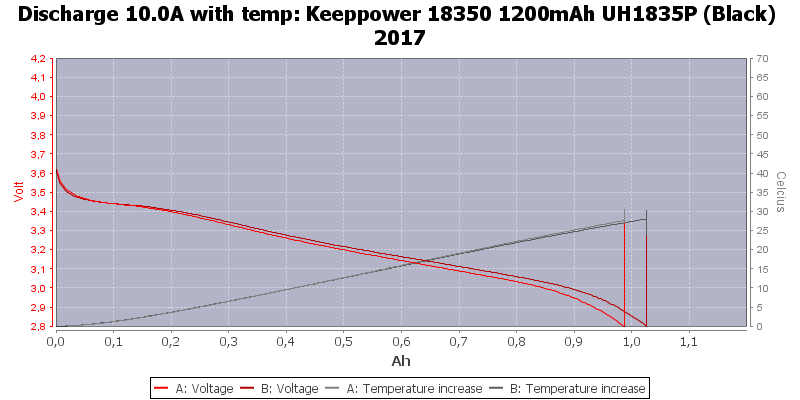 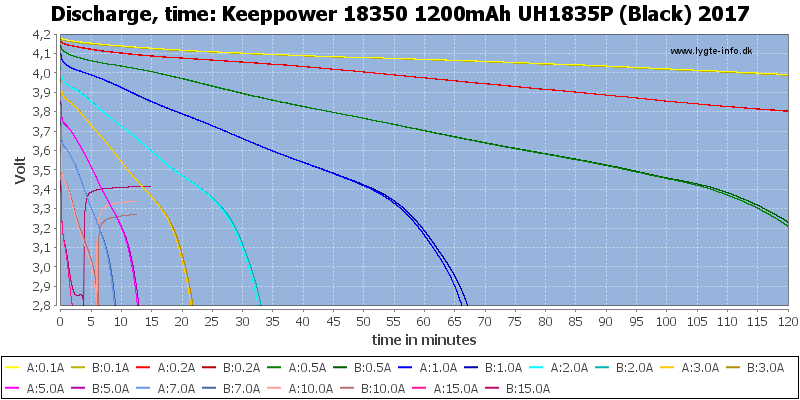 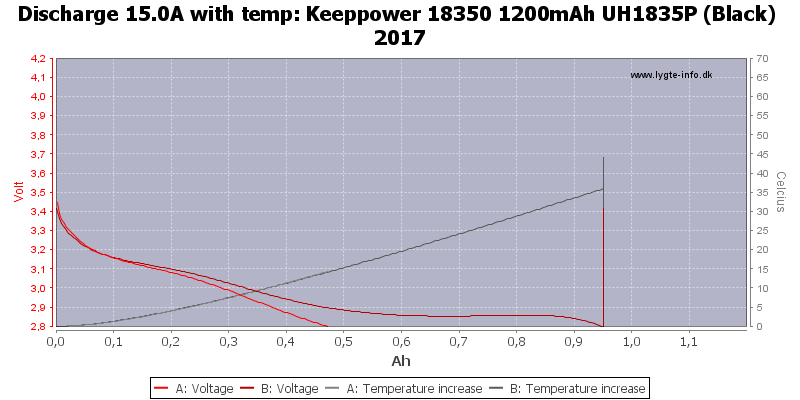 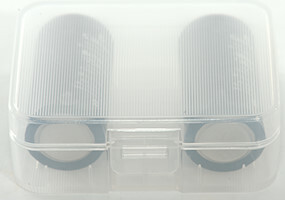 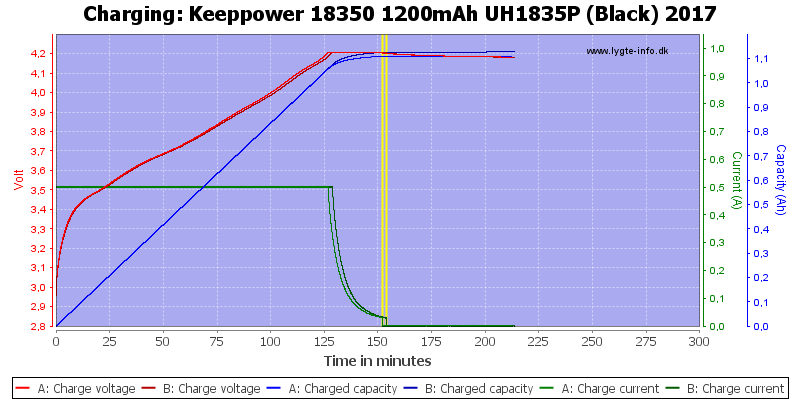 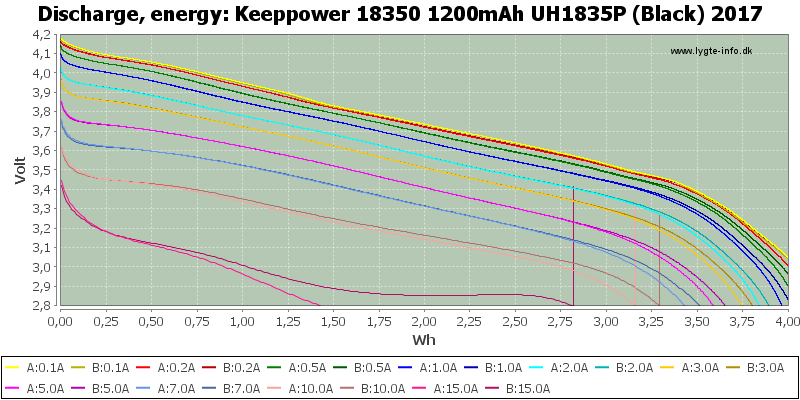 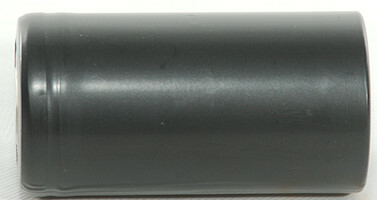 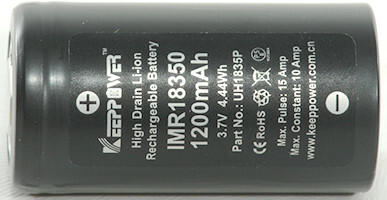 This means that this battery is one of the best 18350 at the current time.